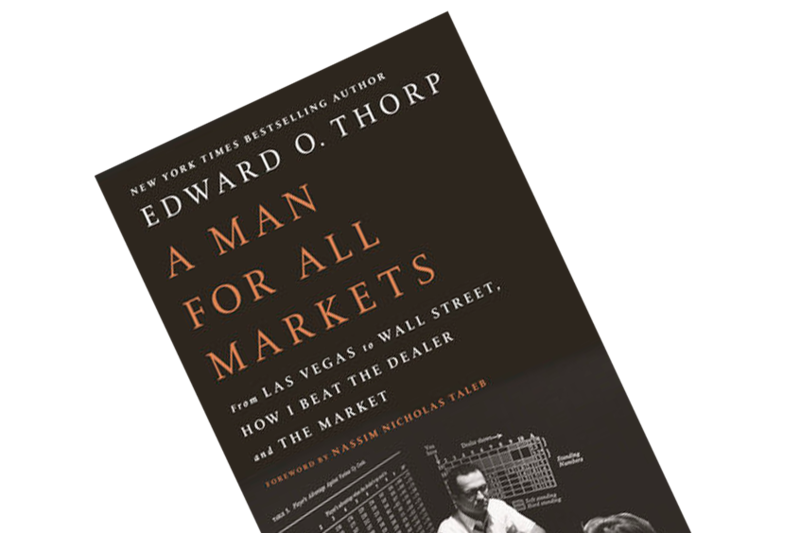 From Las Vegas to Wall Street, Edward O. Thorpe beats ‘the house’ at their own game. Professional gambling and hedge fund management have made Ed a wealthy man. Regardless of the arena, Ed outperformed by using math and statistics to exploit the inefficiencies of the ‘games’, i.e. by counting cards in Vegas and focusing on statistical arbitrage on the Street. Edward O. Thorpe truly is a man for all markets. 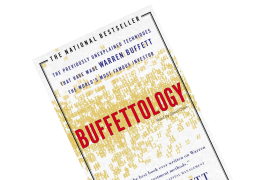 Ed has written an engaging autobiography that covers his journey from a scientifically inquisitive child to a mathematics professor, to a professional Blackjack player who invented card counting, to being the inventor of the first wearable computer (which could predict the outcome of roulette), which finally led him to become a very succesful hedge fund manager. 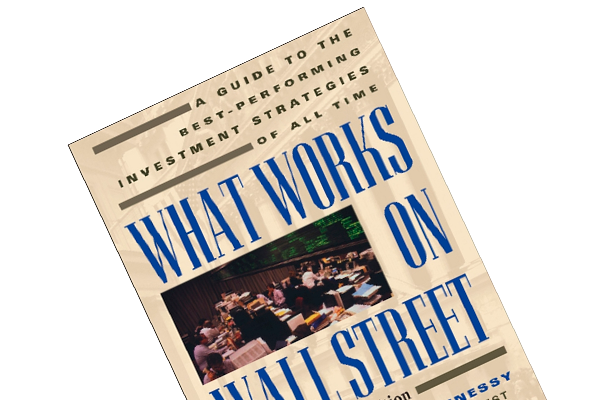 To keep this book summary within the investing realm, I’ll highlight these key takeaways. In the original sense of the word, arbitrage deals with taking advantage of imbalances in price across markets. Say that gold is trading at $1,260 in one market, and $1,280 in another. Buying it at the former and selling it in the latter results in a $20 “sure profit”, as Ed describes it. Now, as an innate numbers-guy (and with such ‘easy wins’ vanishing with more advanced technology and increase in market participants), Ed could take arbitrage to the next level: statistical arbitrage. Ed describes the approach as such: “Our portfolio has the risk-reducing characteristics of arbitrage but with a large number of stocks in the long side and in the short side of the portfolio, we expect the statistical behavior of a large number of favorable bets to deliver our profit.” One of Ed’s systems, which was based on statistical arbitrage, was dubbed MUD: “most-up, most-down”. He found that the stocks that had gone up the most in a two-week period tended to tumble afterwards, and those that had tumbled most usually reverted upwards. Hence, Ed shorted the gainers, and went long in the decliners. Now, surely the MUD system (and my exposition of it!) is over simplifying an area so complex as statistical arbitrage. But one thing is for sure. Ed’s fund, Princeton Newport Partners, surely did “deliver the profits”, compounding capital at 20% annually. Just as Ed took advantage of inefficiencies in Blackjack by betting heavily only when the odds were in his favor (statistically speaking, of course), so did he exploit the market’s inefficiency to tilt the playing field to his benefit. Ed dedicates quite a few paragraphs to cement why the market isn’t efficient. First, he describes how a young college student leaked the fake news that Emulex’ (EMLX) president was resigning and the SEC was looking into its books caused a 56% drop in a day until NASDAQ halted trading. It was later announced that it indeed was a prank, and all was swell. But the stock didn’t fully recover. “How does the collapse of 60 percent in fifteen minutes in response to false information represent the rational incorporation of information into the price?”, which is what the efficient market hypothesis (EMH) dictates. Even a guy as incredibly smart as Ed, who beat the casinos in their own games, earned millions of dollars in the stock market, holds a PhD and who invented ground-breaking technology, is vulnerable to his own psyche. In Deep Value, you’re introduced to some of the behavioral biases that hinders our ability to think rationally. In relation to price, I believe Ed highlighted a neat point about catalysts (those events that can drive stock prices (back) up). He mentions in passing that it’s not such a bad idea to consider “kickers” when evaluating a stock. 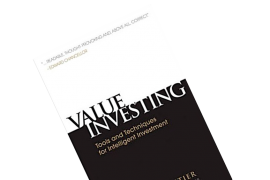 You may have an idea of what it’s intrinsic value might be, and how it may be reached in ‘traditional’ ways. But, it surely doesn’t hurt to have a “kicker”, those “scenarios where would make a higher rate of return” (p. 192), an additional catalyst that might lift the stock price to much higher valuations than otherwise estimated.